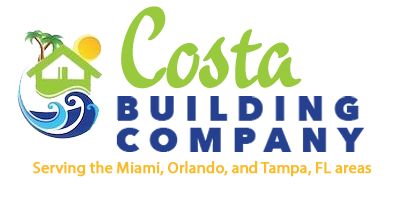 General & Remodeling Contractor: Miami, FL | Costa Building Co.
From kitchen remodels to home additions, we can handle any residential remodeling project you have in mind. Rely on our remodeling contractors to bring your ideas to life. Searching for a general contractor to create the commercial property you envision? Trust our experienced commercial contractor with the job. Do you need help maintaining a property in Miami, FL or the surrounding area? Costa Building is here to help. Count on us for property management services. Ready to get started on your project? Contact the team at Costa Building to arrange for a consultation. We’ll provide you with a free estimate. Are You Choosing the Right General Contractor for the Job? Create the residential or commercial space you’ve always wanted when you choose Costa Building Co. as your general contractor. Call us today to arrange for a free consultation in Miami, FL. We also specialize in property management, too. Are you ready to get started on your residential or commercial project? The general contractors at Costa Building Co. will work with you to create the home or office of your dreams. No matter what vision you have in mind, rely on our experienced remodeling contractors to bring it to life. Call us today to discuss your remodeling or construction ideas with a pro.